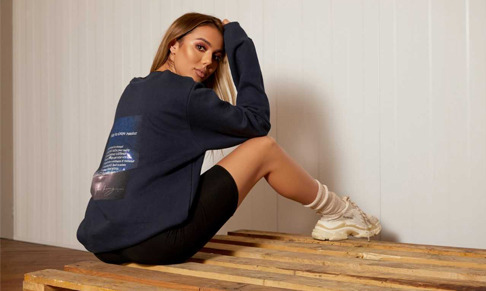 Blonde and Black Publicity has been appointed to handle the PR and publicity for influencer and Coronation Street actress, Arianna Ajtar's unisex collection with MissPap. The brand's first-ever gender-neutral range is all about breaking the boundaries of gender fashion and applying that unique, unparalleled positive mindset to a universal collection. Featuring oversized hoodies and tees, the collection offers comfy cutting edge designs and prints. Arianna commented, '"MissPap have really captured my style and mantras in our collaboration. I’m all about positivity and self-belief and this has been reflected in the gender-neutral casual wear we have created. It’s so personal to me and my style and I know my followers and MissPap’s customers will absolutely love the collection as much as I do!" The collection launches today at 6pm on misspap.co.uk.